There is a lot of debating that goes on about Rheumatoid Arthritis and medication. Some of the most powerful and expensive medications on the earth are used to treat Rheumatoid Arthritis. Concerns include side effects, costs, and feeling reliant upon a substance for one’s livelihood. Aspirin is probably the most used medication of all time that is still considered to be a medicine in the modern world. Originally, salicylic acid was obtained from the bark of a willow tree, creating the first aspirin. For centuries before that, people used to chew tree bark to get the salicylic acid into their bloodstream in order to relieve pain and inflammation for conditions such as arthritis. Of course there are thousands of other substances that have been uncovered which can either alleviate symptoms or cure illnesses; all of these are medicines! In our modern world, we divide medications into two classes: natural medications and pharmaceutical medications which we call “drugs.” When aspirin was in the form of bark, it would be what we consider “natural.” After it has been refined, purified, and measured by milligrams, it is considered a pharmaceutical. Substances in both groups are medication if we realize that medication is any substance man uses to treat or cure illness or disease. In the U.S., the Food and Drug Administration regulates medications which are produced, marketed, and sold as pharmaceuticals. Substances used as medicines, but sold in their natural forms are much less regulated. That is the reason it is not possible to be certain how many milligrams of a potent material such as kava root is in any given dose. That is also the reason that natural medicine marketers must be careful how their claims are worded. Companies which sell vitamins, teas, and herbal remedies are not permitted to claim that their substance treats or cures any disease. They have not been required to test effectiveness in any systematic way. They do not have to guarantee the purity of the product or its potency. (This is the reason that RA patients on methotrexate take prescription folic acid instead of buying it from a vitamin company. Rheumatologists know that their patients need to be certain that they are getting the full dose of folic acid required.) Nor are they required to reveal anything about the side effects of the natural medicine. “Natural” is not always the same thing as “healthy.” Viruses are naturally occurring. Snake bites are perfectly natural. Poison ivy and arsenic are natural. And Rheumatoid Arthritis came to me quite naturally. I inherited the genes for it from my grandfather. Natural is not always equivalent to safe or good. There is so much more to examine about drugs (whether manufactured or natural) and Rheumatoid Arthritis. With today’s blog, I’m hoping to break a few stereotypes in our thinking about medicine. All that is available are the God-given resources here on the earth, whether they are medicines used “as is” or made into more sophisticated treatments and cures. ← Causes of Rheumatoid Arthritis: Are There New Clues? Good blog. I particularly like the part about natural does not mean healthy. I agree 100% with Miss Dazey. I really feel for all of the people who try all of the “natural” methods- not realizing there are side effects there as well. I am not by any stretch against holistic medicine, I just feel you need to research anything before you put it in your body and weigh the pros and cons. I personally think “integrative” medicine is best approach. 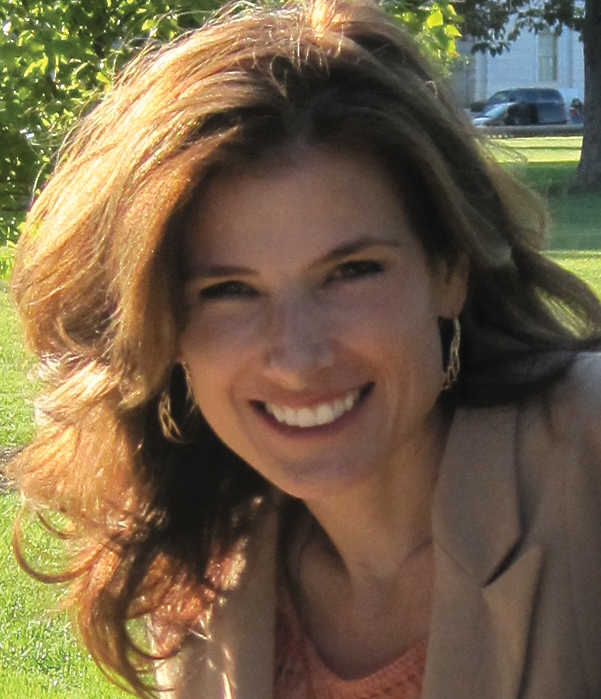 I’m a fan of using a combination of both traditional medical drugs and natural treatments. I try to be on as LITTLE “drugs” as necessarily, because, although there ARE side effects to SOME natural “remedies” they are not as dangerous/toxic as those of “regular” medical drugs (unless you are allergic.) That being said, I think if you have ANY autoimmune disease such as RA, you ABSOLUTELY NEED to be on some type of drug…I don’t see a way around it. Also, I think if you wish to start any treatment, even if it IS natural…you should ALWAYS consult your rheumatologist or primary care doctor first! Common sense!! Too many people lack that quality 😉 Great post! I enjoy this debate because I’ve tried both approaches (tons of drugs for my RA, Fibro & Celiac vs. drug-free naturopathic approach) and was not content until I found a “happy medium” by utilizing both. I am IN NO MEANS “better” or “healed” but I do feel healthier by not relying SOLELY on “drugs.” Good blog, thanks for posting! The last time I had my folic acid filled, the pharmacy just gave me a vitamin company bottle and said it was the same. I questioned them at the time, but they said it was the same. I just called the pharmacy and asked them that for a refill to be filled as my doctor had ordered–prescription folic acid, not a vitamin company’s mixture. Sadly, this is the third “error” this pharmacy has made in the last month on my prescriptions. I think it’s time to change pharmacies. Thank you! I wouldn’t have known. I think it is very important to note that there are side effects from mixing over the counter, prescription and/or natural remedies. St. John’s Wart for example can be DEADLY when mixed with anti depressant medication. It is VERY VERY VERY VERY important for all of us to tell our doctors AND pharmacists what vitamins, herbs or non prescription medications or suppliments we take so that they can educate us about any side effect or drug interaction. Some meds you cannot have cranberry or grapefruit that means of ANY kind not even a sip of juice containing it. It can be a scary world out there but if we are careful to talk to our pharmacists and doctors we can keep ourselves safe and avoid unneeded and certainly unwanted trips to the emergency room. Thanks, good points. They are all “medicines” and we need to educate ourselves. I trust drugs/medicines that have a doctor’s name on the prescription along with an educated pharmacist dispensing them, a brand-name standing behind them and also the FDA…this includes studies, trials, and medical school for goodness sake! I think vitamin supplements are a very important part of feeling good, especially if you are not getting enough through your diet alone, but these quacks that stand behind the health food store counter and pretend to know more about a person’s body and about medicine than doctors and pharmacists do are absolutely comical to me. Putting something “natural” in your body could kill you (as many poisons are “natural”) and there would be no one held responsible for regulating what they sell you. I would be foolish to depend on someone at the “Herb Shop” to treat my thyroid, RA, depression, whatever! God put some very intelligent people on this earth with very intelligent brains who work every day to study/create medicines…as well as intelligent people to prescribe them. There is a reason the FDA doesn’t support herbal remedies. I also think they just make your urine more expensive. It’s not that the FDA doesn’t support herbal medicines, it just doesn’t regulate them. I don’t trust doctors that much myself. They only know what they have been taught in school and most of that is dictated by the pharmaceutical companies. Nothing is ever totally good or bad but overall the profit margin companies need to make to introduce a drug leads me to believe they won’t have our best interest at heart. I have been treating myself with Traditional Chinese Medicine (I attended a four year school and passed the California boards and am recently diagnosed with Fibro/RA) and have had great results. Anyway, I agree you need to educate yourself but make sure you REALLY educate yourself. If you look and research the history of western medicine, you might be surprised and not trust it as much as you would have before. I don’t trust the FDA either; too many of them have worked for corporations that create a conflict of interest. Just my opinion. Good luck and many painfree days to you. I have been trying to explore both natural and pharmaceutical treatments for RA (and other autoimmune arthritis conditions) because our up and coming nonprofit will have a large segment dedicated to treatment options, bridging these solutions with financial assistance to sufferers…. one thing I keep finding is much of what is interpreted as the “right” solution is somewhat based on the degree of RA a person is experiencing. While we all know there are no 2 cases exactly alike, and there are no 2 biological chemistries exactly alike, we may end up finding that the solution for each person will vary? Interesting subject, that’s for sure! This is making me think about the vitamin B6 50mg I’m prescribed while taking the INH drug (for TB treatment). The doctor gave me the prescription but at the pharmacy they told me OK to buy over the counter and said it was the same – which made me wonder why get a prescription then. And to top that, I’m just taking the one you can get at Walmart. I spoke with the prescription refil person at the doctor’s office yesterday and she said it was cheaper to get the B6 over the counter. I mentioned that I started taking the 100mg cut in half – as recommended by the Walmart pharmacyst – and she said that was fine too. It makes me wonder if these people are at all trained in this area before recommending things to patients. I would think that the doctor should know that is better to buy prescription vitamins rather than just over the counter. It might be “mostly” the same in most cases. But if it’s critical that you get a certain amount of an ingredient, a prescription is the best way – at least in the US. Yes, it may cost more, sometimes it won’t because this way insurance kicks in. But there is a reason for the cost: the testing to be sure it is exactly what the label says. The FDA requires extra steps for prescription medicines. Hi there – following treatment for a melanoma (ex birth mark) I woke up in hospital on my second night with bad pain in my hands. Four months later I am diagnosed with RA today. This website has given me more hope and positivity than the rheumatologist I saw today and who has prescribed metho whatsit! I love my yoga, tai chi, mountain bike riding, natural therapies, wildlife rehab (birds of prey), I have done for over 40 years. I am a museum sports curator. 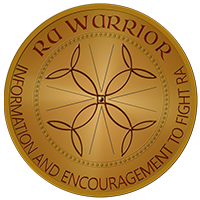 I am a little scared, concerned for what is my best course of action and am so happy to find that I can at least be a RA warrior!! Is there anyone there who would like to talk to me please with advice or a laugh? I am not good with facebook/twitter etc but need a laugh and some positive help from someone who has gone before! I’m newly diagnosed as well. Frustration seems to be all part of our way of processing things. At first I was happy being diagnosed, I finally had rhyme and reason to my pain, then I got to a denial state (I’m going to fight and win), until fighting wasn’t such a good idea, now I have decided to maintain as best as I can (exercising sort of hurts a lot for me). Now I get frustrated. Wanted to do what I could before, but can’t now. However, if I remember that I can walk .25 mile with the same pain it took to walk to the end of the driveway, than I know I’ve made an improvement with my meds. If I walk any more, I generally am down for 2 days, but sometimes I just have to keep going, because my mind needs to do something, anything, because it’s what I used to do to relax and sort things out, walk/run until my heart was content. This site and Kelly are amazing. I have only recently started commenting, becoming more active, because I’m out of my denial state and into a point where if I share how I’m feeling with people in the same boat, I won’t feel so alone any more. Hi Peg. Sorry you have gotten this news. Please let me know if I can help you find anything here. The RA Map on the menu is a resource for the newly diagnosed especially. I hope it helps you. There’s also a metho-whatsit section on the menu. A large number of our readers don’t Facebook or Twitter so that’s fine! Do what makes you comfortable. One thing at a time. You are dealing with a lot. It’s hard when you are just starting on this road. Heck, it’s hard even after years. If you ever need to chat, email me anytime: steph at voicelesswonder dot com. I am becoming educated!!! Thank you for putting this in perspective. How do you feel taking these drugs and how many have you taken? I know I need to start. I just need all the facts. I have talked to my doctor and she is a dead fish without feeling. I have small children and rarely get time to read unless at night in pain. Tammie, I know you’ve been reading a lot of posts. I want to thank you too for having an open mind to read other views. I’ll be glad to help you find information. If your doctor won’t communicate with you properly, I hope you will consider finding another one. I do know that’s hard. I have kids too – they need us to be as well as possible, but they will be okay too. Tammie, if you’d like to read something I wrote about all the RA treatments I’ve taken, here is a blog about that. It’s a few months behind now, but it gives an idea. But we are all different. I know some take the 1st treatment & it works great. I haven’t had any serious side effects – just the rash from Enbrel (rare) & a cough from Orencia (also rare) – which is probably related to my personal chemistry. Hi Tammie – I don’t know your history, but all of my docs have agreed (including my previous holistic/alt therapy DO) that it’s best to hit RA strong and hard at the onset of symptoms. I’ve tried various medications and alternative treatments over the past 6 years, with mixed results. What’s worked best for me are the strong RA drugs – methotrexate (took for 3 years w/o any side effects) and Enbrel (have been taking for the past 3 years w/o any side effects). I usually have some Naproxen that I take in combination with whatever else I’m on (no problems w/ that, either). Sometimes I don’t feel like Naproxen does much, but other high pain/swelling days I feel it helps take the edge off. I tried adding Plaquenil for a few months, and saw no noticeable differnce. I tried several strange alternative therapies for a year with the DO (who was convinced my RA was from Lyme Disease), to no avail. I also tried a supplement called Samento, because it was supposed to be good for RA and Lyme…that’s the only thing I’ve had a real negative reaction to – and it was bad. I had the worst flare ever after taking that, and later found other sites that said not to take that supplement if you have an autoimmune disease. Guess I should’ve done more research. 1. Find a doctor who you like and trust; listen to their recommendations. 2. Don’t take anything without your doc’s knowledge, and don’t take something that hasn’t been shown to be safe for people with RA. 3. Side effects are scary, but the serious ones seem to be rare; all of the doctors I’ve talked to are way more concerned with controlling the disease than the small chance of a side effect. That said, you need to weigh the risks and benefits of your own situation and do what’s best for you! Hope that helps – sorry it’s so long! Hi Tammie, I know you have heard this before, but I wanted to be sure and get it in one more time…Your best chance at preventing deformities are RA medications early in your diagnosis. I don’t want to sound lecturing, I DO want you to have a full and as active life as possible for you and your children. I was diagnoised about 3 1/2 years ago. Since then I have taken several different drugs. Methotrexate does seem to effect my energy for at least the first day after my oral dosage. I had a little (not much) nausea at first but got over it pretty quickly. I also tried Arava but only took it once because my blood pressure went up. Then I moved on to Enbrel and didn’t really have anything negative from it, but it didn’t work with me. The last was Humira and it was the same as the Enbrel. Enbrel and Humira are both T Cell blockers so my next move is to a B Cell Blocker, Rituxan. I hope this helps in a good way. When I was at my follow-up appointment a couple of months ago (Feb), I mentioned to my doctor how frustrated I am that the Enbrel-methotrexate combo had not resulted in the “success” shown in the Enbrel commercials — I was still in a lot of pain and walking was a real challenge. His response was “Well, you know they can’t show folks like you if they want their drug to sell.” We decided to add Celebrex to my regimen to see if it would help with pain management. He prescribed 200mg/day which took a little bit of the edge off my pain, but I was still in a lot of pain. Then I happened to notice a Celebrex commercial that indicated 200mg/day was the dosage for OA; so I checked the Celebrex website and discovered 400mg/day was the RA dosage. I called my doctor and requested a new prescription, which I got. Throughout the rest of Feb into mid-March, I was taking Celebrex at 400 mg/day. The new dosage helped, but I was still experiencing more pain than I expected and I certainly was not the “body in motion” as shown in the Celebrex commercials. In early March a friend told me about a workshop she had attended at the University of Guam on the production of fresh noni juice at home. She shared the testimony of several people who had been using the fresh juice and said she wanted me to try it. My only exposure to noni juice had been in the mid-1990s when Tahitian Noni Juice was making its rounds like a pyramid scheme, so I was skeptical. I checked it out on the net and found some reference to noni juice being able to inhibit the Cox-2 enzyme which is responsible for the inflammation and pain of RA (and is also what Celebrex does), so I was mildly curious and contacted the professor who had conducted the workshop to ascertain if noni juice really had the ability to inhibit the Cox-2 enzyme. He sent me a link to 2 research papers verifying the information, so I ordered a bottle from Amazon.com. On March 23 my friend brought me 6 oz of fresh noni juice, which she had made for me to try. She has OA and after taking fresh noni juice noticed less joint pain and increased energy. I took one ounce a day until the supply was gone. I felt a slight improvement in my wrists and hands, but my knees and feet were still in pain. My Amazon order arrived while I was taking the fresh juice and my friend suggested I try taking it 2x/day, which I did, for a total of 2 oz/day. On the 3rd day of my new dosage, I got out of bed quite easily and felt pretty good (for me) so I decided to skip the AM Celebrex. As it turned out, I did well and didn’t need it at all that day (YAY for me). In the days and weeks since then (I’m writing this on May 2) I have found a local source so that I have access to fresh noni juice and now take 1.5 oz 2x/day. As a result, I’ve been able to cut back quite a bit from my Celebrex to the point that when I called in my Enbrel refill last week I checked my Celebrex supply and realized I still had more than half in the container! (I had filled my Enbrel and Celebrex prescriptions on the same day, so I had anticipated needing to refill them on the same day as well). So this natural version of the Cox-2 enzyme inhibitor has worked well for me. My mobility is better; I can now get around the house without using my walker. When I’m having a really good day, I can go out shopping for hours (as long as I have a shopping cart to support me when I get tired) — I think my “record” was 4 hours in 3 different stores in mid-April. My massage therapist noticed that inflammation on my hands and feet were very mild, compared to how they were in Feb when I last saw her. She also felt that my leg and thigh muscles were more toned than before — I think it’s all the walking I’ve been able to do. I do still take Celebrex on an “as needed” basis — like when I expect to be engaged in something out of the ordinary. As a matter of fact, the noni juice-Celebrex combination enabled me to attend my granddaughters’ Spring Concert in early April (after having missed their UN and Christmas Programs). That combination also allowed me to babysit them both all day (on two occasions last week) which was something I wasn’t able to do since my younger granddaughter started daycare last July 2010. On “regular” days, taking 3 oz of fresh noni juice works well to manage my pain and, for that, I am very grateful. Thanks again for your website. I wish that I would have found it prior to diagonsis because if I had, I would have been diagnosed sooner. I am curious about claims of several books on the market that claim you can “conquer” or “cure” RA through food sensitivity testing and elimination of those foods from your diet. I read somewhere on your site that these claims are largely unsupported. Do you know of anyone that have tried these fasting approaches and if they worked for more than a short period? I have only heard of very short term successes with these approaches. I’ve been told it is due to a “shock effect” on the immune system whenever there is a drastic change. Something that disturbs regular immune activity could also disturb disease activity (DA), of course, if the disease is immune-related. 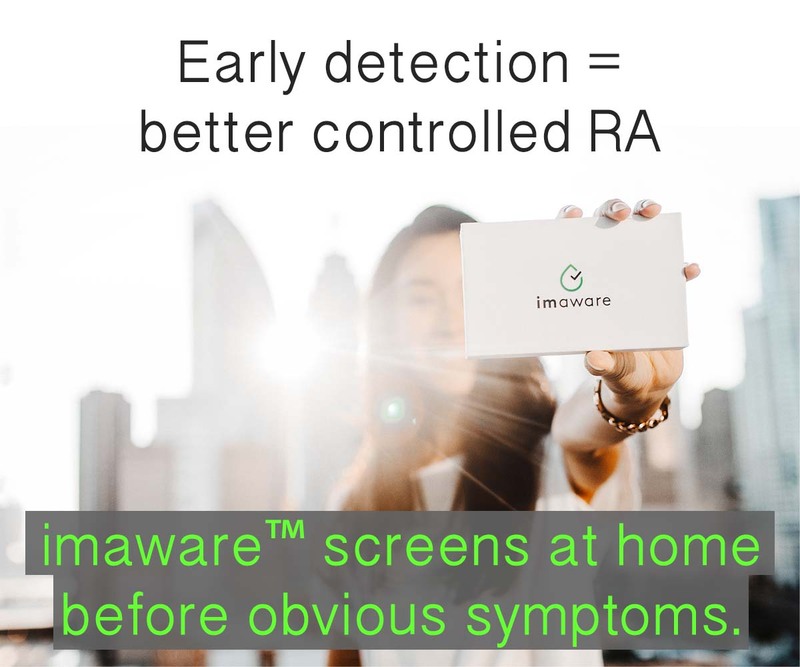 The biggest problem is always to measure an effect with RA DA – since the DA does vary with most patients by the nature of the disease itself (ie: flares). I’ve always said I would be more convinced that a treatment worked if it worked on someone with constant DA (like a certain % of us have) which might better demonstrate an effect. However, I know that actual studies also attempt to use criteria/methods for this purpose – to show that an effect of a treatment actually exists.. I agree completely Anne and thank you for the great reminder. I’ve also written similar words about sleep – it is such a gift to us that I think the right bed is about the most important thing we can do for ourselves. What about pot for pain and depression? While I have my own reasons for my position against its use. And don’t plan to use it. Have you heard of any discussions about canibus and it medical use in RA and AS? yes I have and I’m working on a post on that. sometimes you guys read my mind. 🙂 check back soon for that! Saying a prayer for you now, Vickie. Those rocks are awful. I hope something helps soon. Have you told your dr how bad it hurts? Maybe something could be changed or added to your meds to give you relief. I have just written my ‘story’ to you….since I was deemed not eligible for the trials. My age probably. 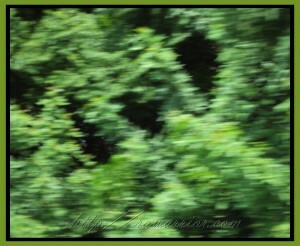 experience …but some days, ‘not so much’…weather related and have to pace myself but then again i am: 76 yrs young. I did have Lyme Disease and was legally disabled from that: for 5 years. Babesiosis was the other infection with the Lyme. Was on an IV for yr and a half. Thank you! Your blogs are always encourage me that I am not losing my mind! Due to an extremely poor doctor care last summer, I was taken off of ALL my RA medicines for 6 weeks. When I finally got to the RA doctor, she was livid and sent me to a Fantastic dermatologist. Those people who always told me that I was taking too much medicine saw that I quickly became the Tin Man from the Wizard of Oz, because everything was difficult, standing, walking, etc..
Another consequence to the 6 weeks of “natural” care is that I have developed pyodrema gagrenosum, which are nasty sores on my leg. I know I am receiving superior medical treatment now, but I cannot tell you how many people try to tell me that I should be drinking green tea or using Blue Emu Cream to cure me! I love how you pointed out that all of our medicines come from nature and the ones that are prescribed are regulated so we KNOW we are getting the treatment we need for our “natural” disease!